Friday Five Roundup #2 – Allons-y Craft! Found a few extra clever things on the interwebs this week and knowledge is power – allons-y! Take the short quiz to find your archetype, then get content tailored to your archetype, tag content you find around the web, share with friends. Pretty cool! This has been on the PBS.org site for a while now and I am constantly using it as a point of reference. Whether you’re a crafter or just interested in the movement of craftsmanship in all forms happening in our country, you should check it out. Matej Peljhan took these heartwarming photographs of Luka, a young boy with muscular dystrophy living out his dreams. 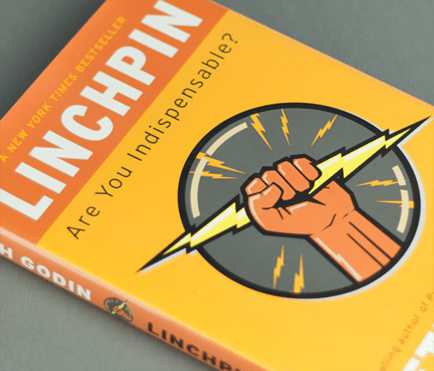 I’m currently reading Linchpin by Seth Godin. I’ve heard good things and this book does not disappoint. In the first few pages, I was hooked, inspired, and ready to take some action. He has tons of stuff on his webpage even free content to get your creative juices flowing. Mashable has a great tutorial on how to make your own animated gifs. Gone are the days of searching endlessly for the perfect reply to a gchat message in the form of Beyoncé! Have fun exploring the webs this weekend and let me know if you find anything fun! Next Next post: Monday Morning Blues…and Rock, and Pop!